Our College Counseling Program has been developed to help students get everything they need to enroll in their dream schools. With our program, students can have access to an elite group of college consultants and teachers, including IECA members, experienced school counselors, and current admission officers in top colleges. We can be a welcome resource for applicants and families who recognize that they need more individual attention than a school counselor may have time to provide. We offer students the knowledge and skills of an experienced professional, coupled with a commitment to meet the client’s best interests. We act as your guide, interpreter, and facilitator for the entire application process. We also have expertise in advising individuals with special circumstances, such as learning or physical disabilities. You can start as early as middle school. The program covers not only the application process itself, but also every important factor that may potentially affect the admission result. The program consists of six packs: course selection, academic tutoring, test preparation, extracurricular activities, recommendation letters, and essay writing. Our signature services are our extracurricular projects: with professionals in their fields, we help students choose, create, and develop extracurricular activities based on their own interests. Enrolling in the program also grants students with the academic support they need to be more competitive in academic and test performance. Together we can create your own college admission success story! Extracurricular activity is where students can show their individuality and creativity to admissions officers. We enc-ourage students to participat-e in unique extracurricular activities based on their own interests. We also have summ-er programs to offer students more opportunities to dev-elop special extracurricular projects. Through application essays, students can show their personalities, express their passions, and demonstrate their writing skills. Before students submit their essays, we connect them with more than three instructors, counselors, and admissions officers to help them improve their essays. With all these professionals to assist them, we ensure students submit only the highest quality essays. 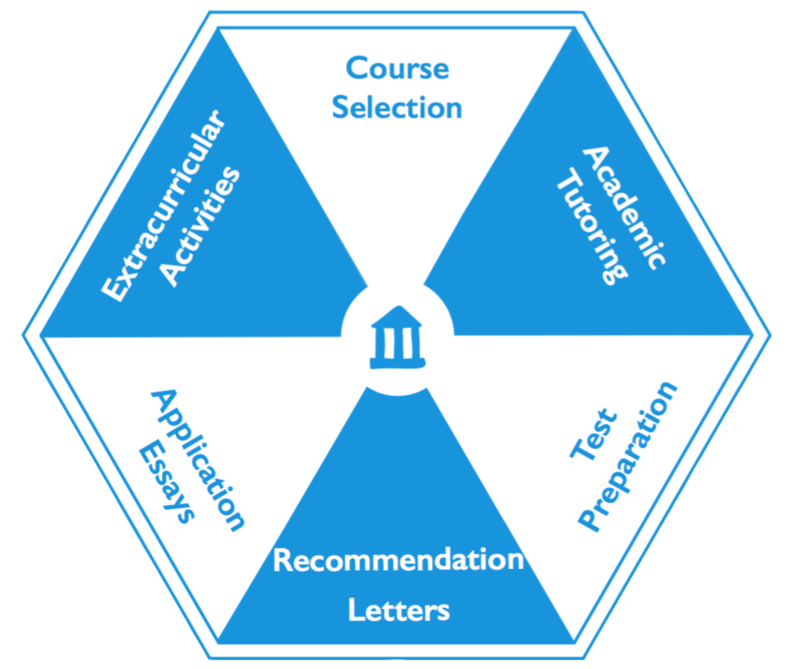 Course selection weighs the same as other components of the application package, though not many people realize this. Taking the right courses can not only go a long way to meeting the prerequisites of college, but also show admissions officers that students are willing to challenge themselves. We help students choose the right courses that inspire them the most. Good academic performan-ce can help students make a smooth transition to the fast- paced life of college. Acade-mic support has been our primary service since the foundation of our academy. We have attracted the best and most experienced instr-uctors from all over the world to assist students with all their subjects. A high test score is not enough to grant students an offer from their dream school, but it does make them more competitive among other applicants. We provide students with the most innovative, creative, and successful test preparation techniques, taught by profess-ional teachers and tutors. With MA Academy, a test score will no longer be the obstacle between students and their dream schools. Placing your child in an independent school can be an important decision, one which most often leads to an enriching experience. We can help facilitate the process of selecting the school in which your child can be happy and successful, and guide your family through the oftentimes overwhelming admissions process. We meet with families to discuss their unique concerns. To find the right “fit” for your child, we learn as much as possible about your student and family. They help you clarify your child’s educational needs, identify strengths and weaknesses, and consider interests and dislikes. We can be a welcome resource for applicants and families who recognize that they need more individual attention than a school counselor may have time to provide. We offer you the knowledge and skills of an experienced professional, coupled with a commitment to meeting the client’s best interests. We also have expertise in advising individuals with special circumstances such as learning or physical disabilities. We spend hours with the applicant and family getting to the heart of his or her personality, interests, qualifications, and aspirations. A successful admission begins when a consultant learns as much as he or she can about you, then works to find the college or graduate school that provides the best environment for your educational, social, professional, and personal growth. It’s not only about being accepted-more importantly, it’s about thriving at the institution that is the right fit for you. Working with someone who understands the system can be invaluable during this stressful time. We regularly attend conferences and workshops to stay current on developments in their field. They have experience in college admissions and know the intricacies of test preparation, applications, essays, interviews, and financial aid. We can even help you decide what academic, personal, and work experiences will best prepare you for success on campus. We spend 20% of his or her time on the road, meeting with admissions officers, touring campuses, and exploring the campus environment. Therefore, consultants have extensive, first-hand knowledge of colleges and graduate schools, big and small, around the country. This personal insight provides clients with a much deeper understanding than any catalog or Web site can convey. Because consultants are familiar with a multitude of institutions, they can present applicants with a much wider selection of possibilities and provide vital help in weighing factors such as cost, location, and curriculum. We work for you, not the college or graduate school. Not tied to any institution, we will offer objective help in wading through the myriad letters, brochures, videos, and catalogs that applicants collect in their search, and in evaluating the pros and cons of each program. With college and graduate school becoming more expensive and competitive every day, families and applicants feel increased pressure to make the right choice. We serve as the applicant’s personal resource in this important decision-making process.